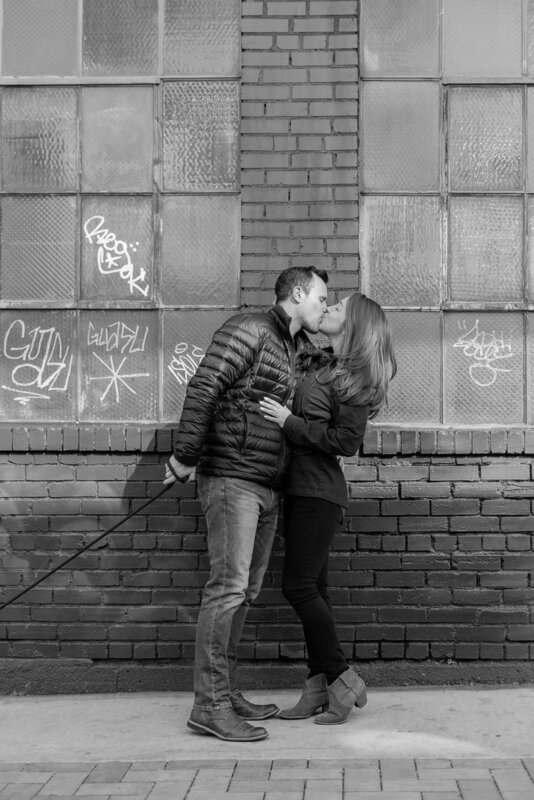 Kate and Hunter wanted to include some of their normal Denver activities into their engagement session. This included seeking out some great street art and chai in RiNo. It’s so cool to see this area of Denver come alive over the years. It’s become one of my favorite places in the city to get inspired. They are city people during the week and mountain goers during the weekend. 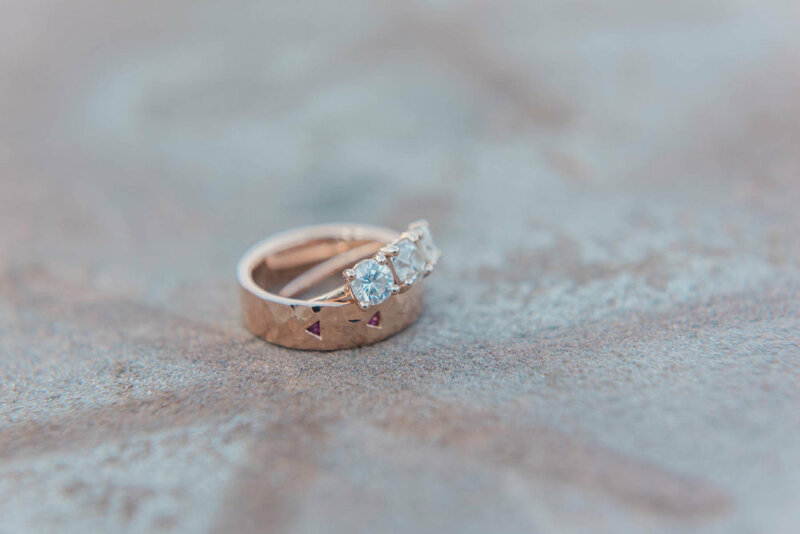 This summer Kate and Hunter are celebrating their marriage in the Colorado mountains. 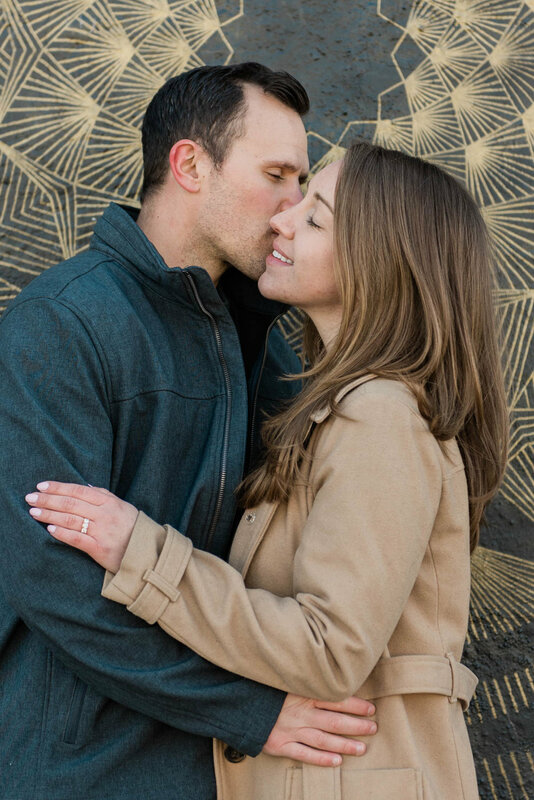 Kate and Hunter found love using technology, ya know on their smartphone apps! Why not use every resource you possibly can. When I was dating it was always about meeting as many people as possible to see if you found a connection. I know I have used most of the apps and dating websites before I found Matt on a Meetup Trip to Utah. Yep, I think technology is one of the best ways to find the love of your life! 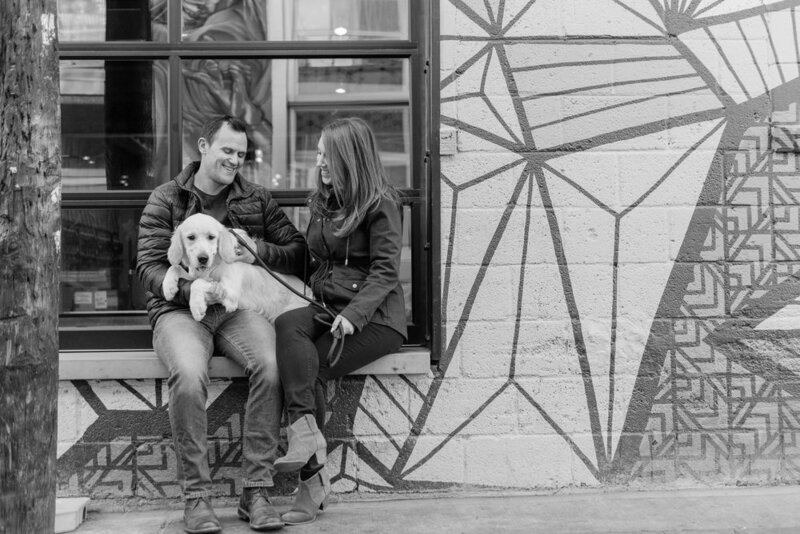 And their engagement session wouldn’t be complete without including their new fur baby, Violet! 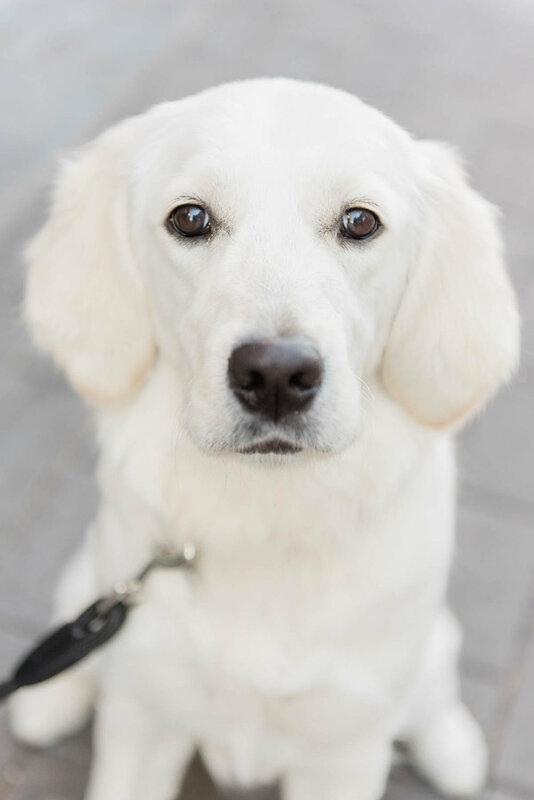 She is an English Cream Golden Retriever and oh so adorable! She is less than a year old and already knows so many commands! She can sit and lay down and is VERY food motivated. Oh, and did I tell you just how cute she is. She is soooo cute! So we had a blast walking around RiNo checking out all the amazing street art with Violet taking in the world with her nose. We wandered about then grabbed some very delicious chai teas at Crema Coffee House. It was the perfect spot to get some extra caffeine and warm up. It was a bit of a chilly morning in the city. 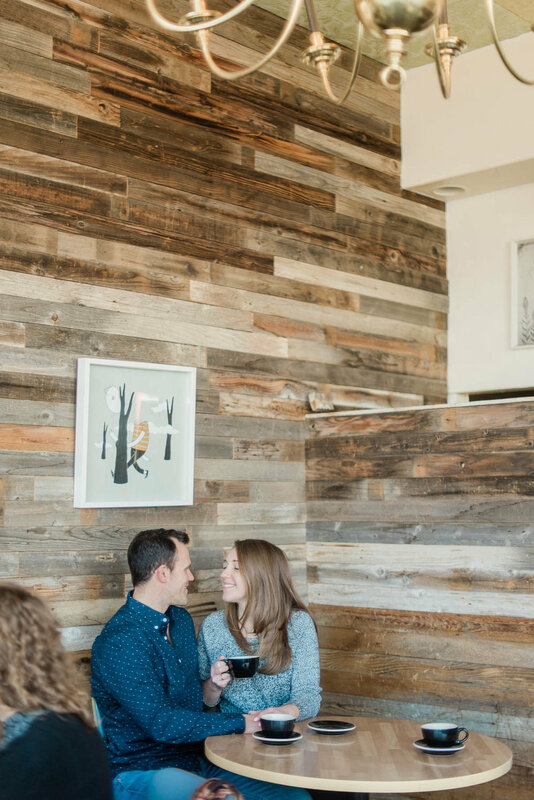 But the perfect morning to go explore RiNo together and capture some adorable photographs of Kate, Hunter, and Violet. I can’t wait to capture your wedding day! What's the bride's favorite thing about the groom? What's the groom's favorite thing about the bride? What is your favorite thing to do as a couple? Eat at a nice restaurant, cook a healthy meal, and hang out with doggo! What's the Bride's top two love languages? What's the Groom's top two love languages? What's the bride's favorite color? What's the groom's favorite color? If y'all could travel anywhere in the world, where would it be and why? Everywhere! We want to explore all over. And plan to! Next stop is South America because we haven’t been there yet. If y'all could sit down and eat dinner with anyone dead or alive, who would it be and why? If y'all both got to pick a superpower, what would y'all pick and why? Fly! We love to travel, everywhere! Why photographers won't give out RAW files.